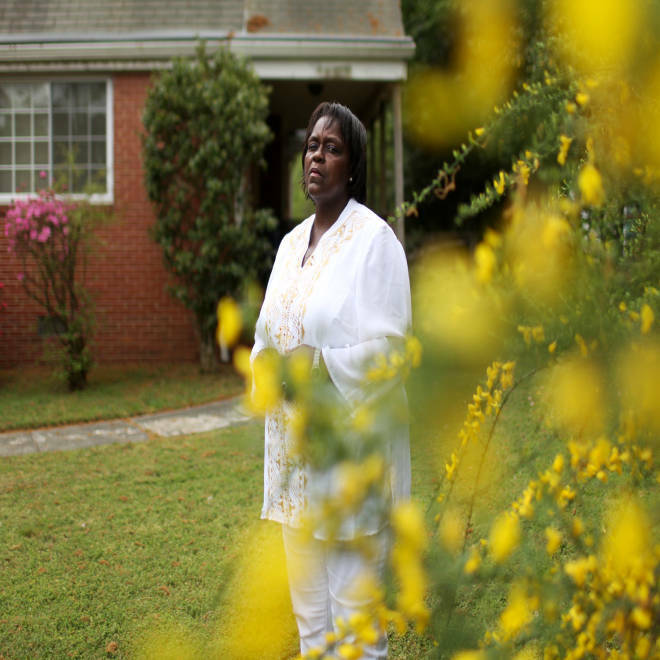 Kim James outside the Dove House, a half-way house in Durham, NC that helped her recover from poverty and addiction. James has since been able to start banking again through the Self Help Credit Union. Sabino Fuentes-Sanchez hid $25,000 all around his house because he didn't trust banks. Lasonia Christon receives her Wal-Mart salary on a pre-paid debit card. Kim James was homeless for most of the past decade in part because she had no place to save money. There are plenty of reasons people still live all-cash lives, but the sheer number who do it might surprise you. At a time when the majority of Americans use online banking, and some even deposit checks using their cellphone cameras, roughly eight percent of America's 115 million households don’t have a checking or savings account, according to census data compiled by the FDIC. Christon works at Wal-Mart. Her paychecks are deposited onto a prepaid debit card -- an improvement over old-fashioned paper paychecks, which led to high check-cashing fees. It’s hardly a good substitute for direct deposit, however. One cash withdrawal per period is free, but others cost $2. She can avoid the fee by shopping at Wal-Mart and getting cash back at checkout. 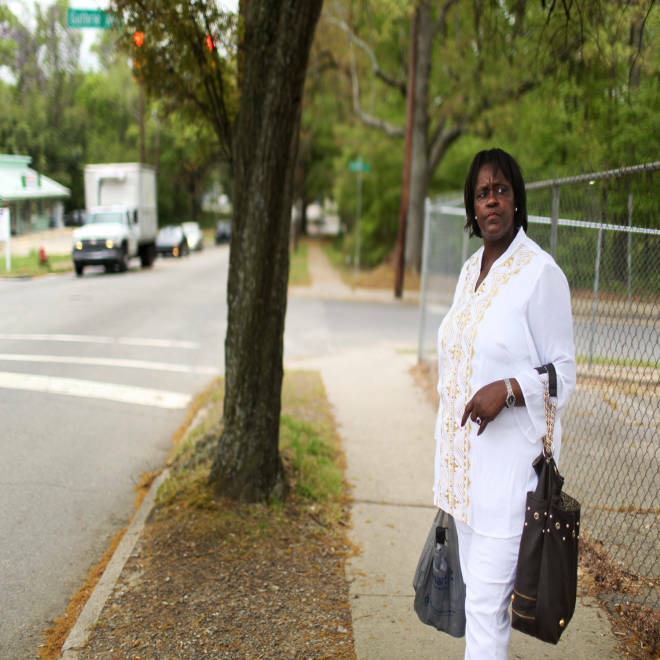 She is among the 60 percent of unbanked Americans who previously had a checking account. Christon used to share one with her sister, but It cost her dearly. "There was an overdraft here and an overdraft there, and it just didn't work out," she said. Kim James at the Dove House, a half-way house in Durham, NC that helped her get back on her feet after struggles with poverty and addiction. Fuentes-Sanchez made a fairly good living working for a tree removal company in Lumber Bridge, N.C., for about 10 years. But he was skeptical of banks, and when he tried to open an account, he was surprised by the cost. "Instead of making money, I would have to pay fees," he said, through a translator. "(So) we used to keep money in the house. We were always trying to look for ways to hide the money in the house and keep it safe." At one time, Fuentes-Sanchez had $25,000 stashed in different places throughout the house – his Latino community had been plagued by house burglaries because neighbors did the same. When his wife got cancer, her treatments devoured all their savings. Down to their last $500, and before she passed away, she convinced him to open a bank account at Latino Community Credit Union, which was opened in part to help stem the burglary problem. Saving -- putting money out of temptation's reach -- is the core concept of consumer banking. But the importance of participating in the financial system has stretched far beyond the quaint notion of interest, said Jennifer Tescher, CEO of the Center for Financial Services Innovation, who is generally regarded as the person responsible for popularizing the term unbanked. "A bank account in a way has become like a passport or a driver's license," said Tesch. "It's a kind of access device." James, 55, has been in and out of homelessness for several years. 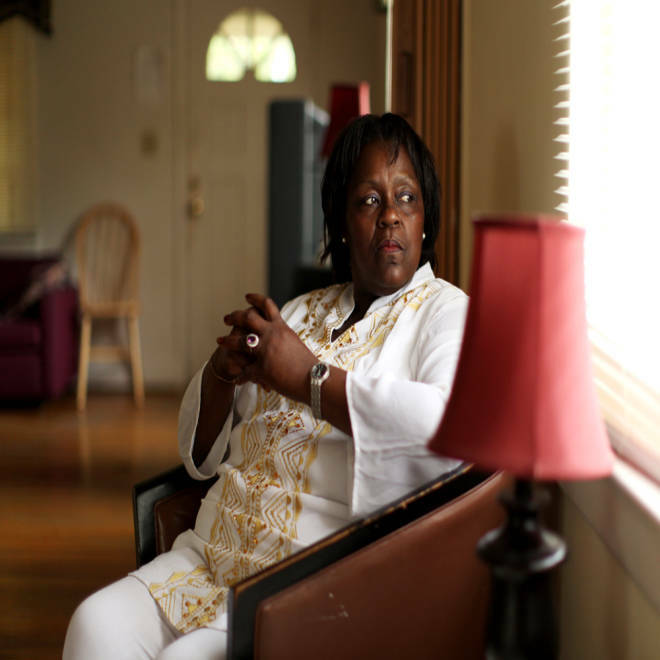 She now lives at a half-way house called Dove House in Durham, N.C., and figured she could never move into her own apartment unless she could stash away the money needed for a security deposit. Without a savings account, that was a challenge. "Cash in hand is cash spent, my mother always said," she said. Two years ago, she met Duke University student Janet Xiao, who was part of a group named the Community Empowerment Fund, which visited Dove House offering life skills training, including a class on personal finance where she nudged women to open a bank account. James was reluctant. When James got a part-time job in January, she finally took up Xiao’s offer of help. The two set up an account with the Self-Help Credit Union on Xiao’s laptop right at the Dove House kitchen table. "She even put the first $5 in there for me," James said. After depositing her first paycheck in person at Self-Help, Xiao said, James did a little dance. “Now whenever I get even $10 or $20, I go to the bank and deposit it,” James said. Within a few months, she put together enough to pay her security deposit and first’s month’s rent. As soon as she saves enough for a bed, she’ll move in. James has been able to start banking again through the Self Help Credit Union, and has saved enough to pay a security deposit and the first month's rent for her own apartment..
Self-Help is part of a growing set of financial companies called Community Development Financial Institutions (CDFIs). Supported by the U.S. Treasury Department, their mission is to help the unbanked get into the financial system. Christon has recently been persuaded to open an account in a different way. Her 3-year-old twins’ day-care facility was recently visited by representatives of the Mississippi College Savings Account program, who helped her open a small account for the children. She then realized she needed her own savings account. "I want to be a good role model for them, so they can learn about savings," she said. "I know I need to be better and show them about saving for the future." Bob Sullivan writes The Red Tape Chronicles blog on NBCNews.com. Follow him on Twitter or Facebook. NBCLatino's Sandra Lilley contributed to this story.